Kid powered & Kid approved! 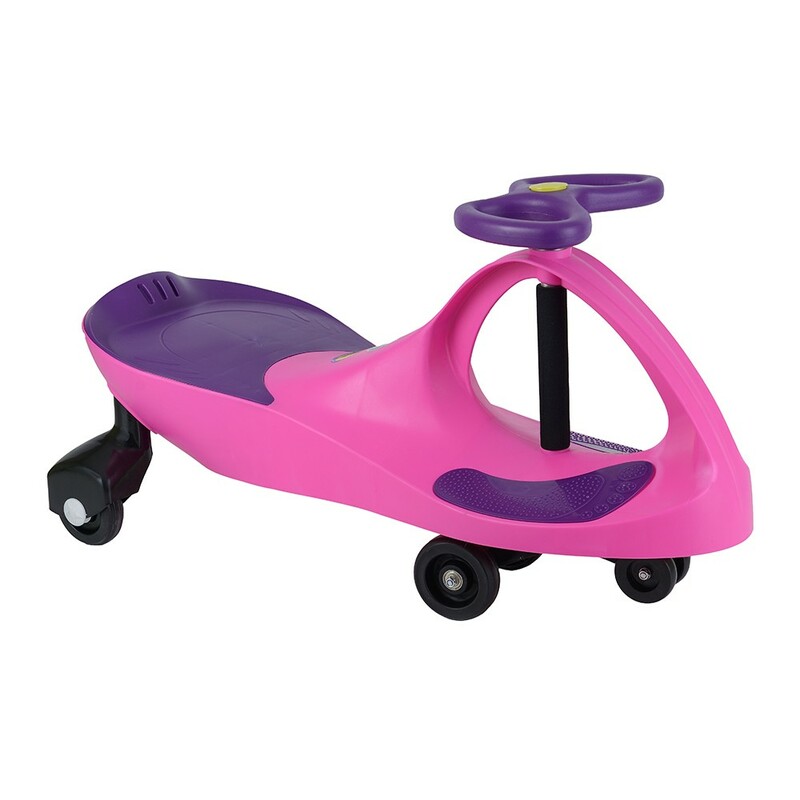 The Original PlasmaCar is an innovative, ride-on toy that harnesses the natural forces of inertia, centrifugal force, friction, and kid power. No batteries, gears, or pedals. Patented safety seat design places rider in a safe, comfortable position and minimizes tipping. 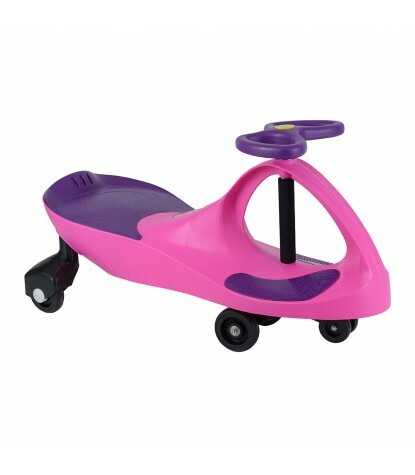 This Plasmacar comes in a bright Pink with Purple accents! Use Indoors or Outside on a Smooth Flat Surface. PlaSmart Inc. is a Canadian-based distributor of smart, simple, educational toys for children. Distributing innovative and quality products that have won numerous toy awards. The company focuses on toys that develop motor and dexterity skills, balance, creative and imaginative play, hand-eye coordination, problem-solving skills and, of course, entertainment.